RNAi has been harnessed in the field of biotechnology for gene silencing, gene knockout, and gene knockdown. 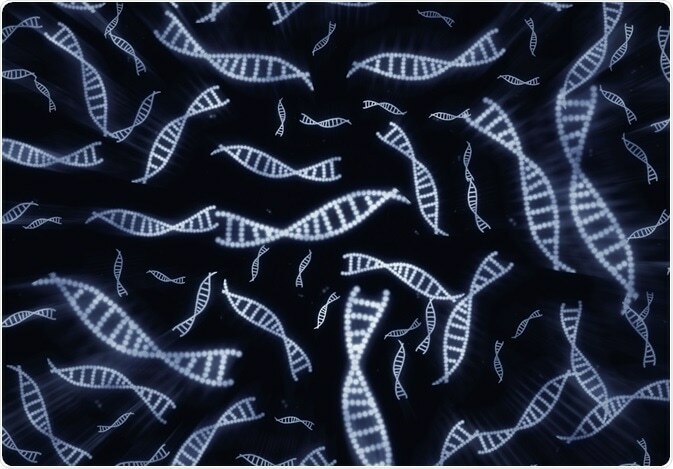 The most commonly used tools for gene silencing are small interfering RNA (siRNA), short hairpin RNA (shRNA), and microRNA mimics and inhibitors. RNA interference (RNAi) is a post-transcriptional gene regulatory system that promotes gene silencing through the use of non-coding RNA molecules called microRNAs. These short RNA sections are taken up by the RNA induced silencing complex (RISK) to target specific messenger RNAs (mRNAs) for degradation, therefore suppressing expression of the gene encoding the mRNA. The endogenous pathway for microRNAs leading to RNAi begins with genomic DNA transcription of an RNA called pri-microRNA. It is then processed by the microprocessor complex, which contains a protein called DROSHA, into a pre-microRNA in a hairpin form. It is then exported from the nucleus into the cytosol, where itis processed by Dicer into double-stranded, anti-parallel RNA. This duplex RNA is then loaded into the RISC complex and used to target a mRNA transcript for down-regulation of the target gene. The earliest observations of RNAi were made in plants. At the time, it was known as post-translational gene silencing. Subsequent investigations identified RNAi activity in most eukaryotic organisms, including insects, parasites, mice, and human cells. The natural function of RNAi and similar processes is believed to be protection of the genome against invasion by viruses and other mobile genetic elements. It also orchestrates functioning of developmental programs in eukaryotic organisms. Protein discovery could lead to mosquito "birth control"
In plants, RNAi is known as post translational gene silencing (PTSG), and was first discovered in a search for transgenic petunias. R. Jorgenson et al. sought to upregulate a gene for chalcone synthase (chsA), which they believed would result in a more purple flower. However, some of the transgenic petunia plants lost chalcone synthase activity, and came out variegated or with white sections. There was no loss of cytosolic chsA associated with the phenomenon. Subsequent studies in other laboratories also observed PTSG events. These have since been revealed to be RNAi-related processes. Similar events were turning up in studies of fungi, which were called quelling. Fire et al. were the first to unequivocally demonstrate RNAi by introducing purified double stranded RNA (dsRNA) directly into Caenorhabditis elegans. Dicer is a member of the RNase III family that produces dsRNA fragments of 22 nucleotides in length. It initiates the RNAi process by digesting dsRNA into uniform siRNAs. Dicer is evolutionarily conserved in worms, flies, fungi, plants, and mammals. It has four protein domains, amino-terminal helicase, dual RNase III domains, a dsRNA binding domain, and the PAZ domain (common to other protein families). RISK is a ribonucleoprotein that uses a single-stranded RNA template to recognize complementary mRNA and cleaves it. 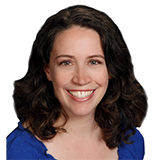 Catherine Shaffer is a freelance science and health writer from Michigan. She has written for a wide variety of trade and consumer publications on life sciences topics, particularly in the area of drug discovery and development. She holds a Ph.D. in Biological Chemistry and began her career as a laboratory researcher before transitioning to science writing. She also writes and publishes fiction, and in her free time enjoys yoga, biking, and taking care of her pets.